I can’t think of a better way to commemorate the 150th anniversary of the American Civil War than to write a short story involving one of the battles fought in Spotsylvania, Virginia. I credit the inspiration for this story to my own family history. If you trace your family history, chances are great you’ll find an ancestor who fought in the Civil War. I found family members who fought on both sides. 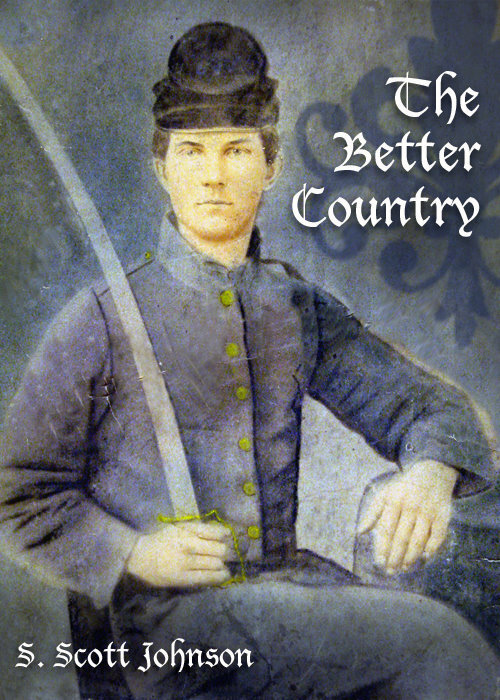 “The Better Country” is a story about a Civil War chaplain who decides to join the battlefield, but quickly discovers the tragic cost of war. I’m giving you a coupon code FY37Q so you can download the story for free on Smashwords. Click on add to cart and use the coupon code to download it for free. You can download this in different formats. If you have a Kindle, you can copy the mobi file version to your Kindle. This offer is good for the next two weeks–my gift to you. As a short story, it won’t take long to read, and I think you will enjoy it. If you do, please let me know. I’d also appreciate you leaving a review with your honest feedback. This entry was posted in Giveaways, Outdoor Writing and tagged Christian, Civil War, fiction, free gift, giveaway, historical fiction, short story, Spotsylvania Virginia, The Better Country, writing. Bookmark the permalink.